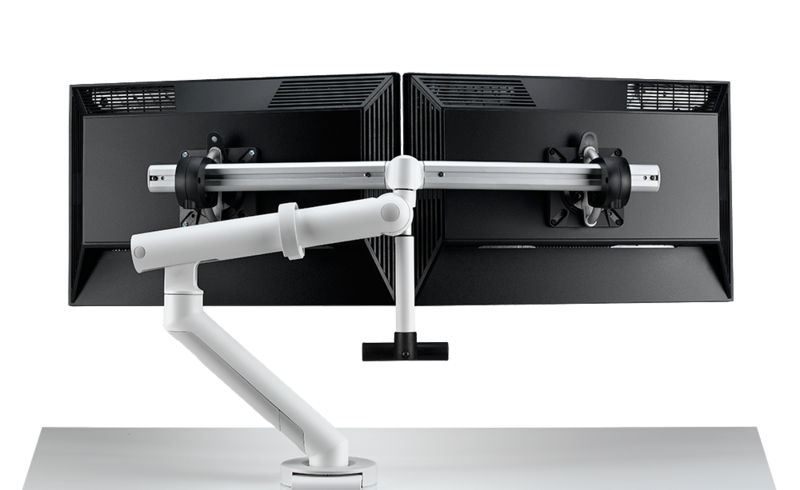 Flo Plus is the ideal dual monitor stand for supporting two high-load screens in a dynamic format. 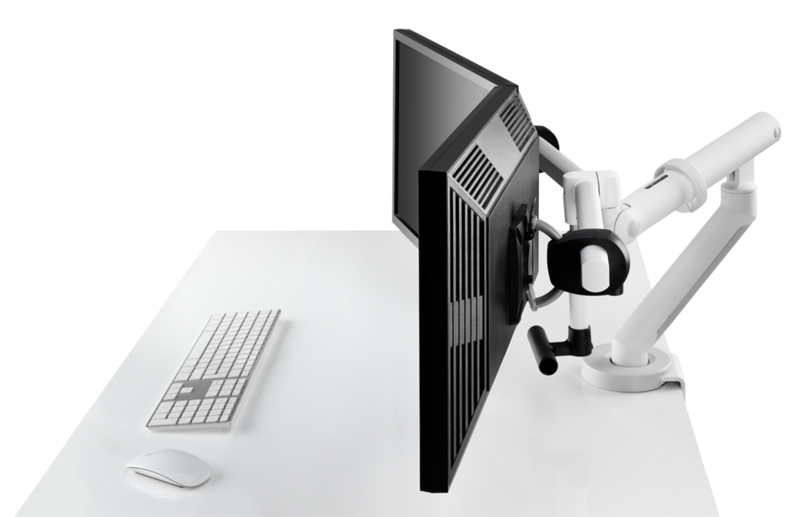 The screens do not move independently of each other but instead rotate from a central fixing point and can be positioned according to user requirements. The maximum weight capacity is 18kg but this does not need to be split evenly, meaning that offset weights of up to 5kg can be supported. 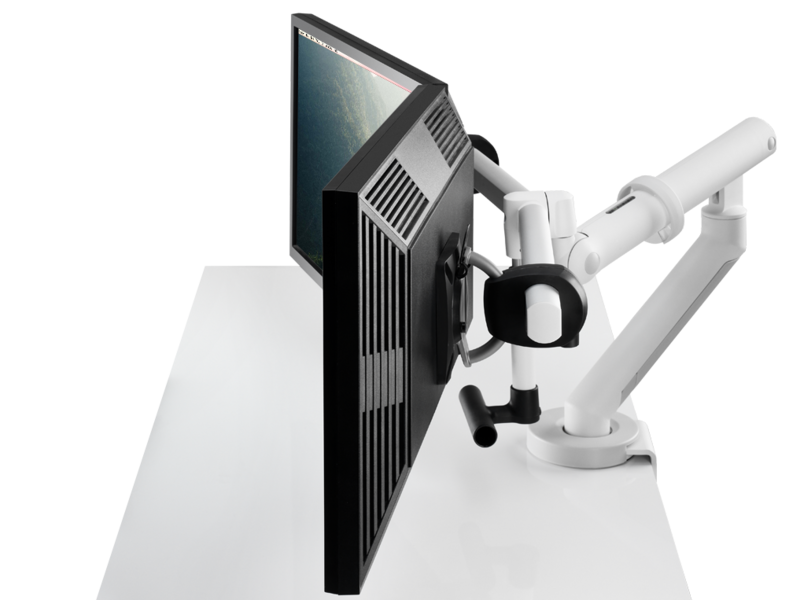 An adjustable handle assists in easy movement of installed screens to a convenient viewing position. Both heads have fine height adjustment, ensuring that even two different sized or thickness screens can be installed and perfectly aligned.